The Kallanish team and I look forward to welcoming you to the Asia Steel Markets 2018 conference in Ho Chi Minh City. If you have any questions about the event or would like to get in touch with the events team, please click here. All conference attendees will receive an email providing them with instructions on how to access the conference presentations. You must complete the feedback survey first in order access the presentations. If you didn't get the email please simply email marketing@kallanish.com and a member of the team can help you. Southern Steel Company (SSC) operated under Vietnam Steel Corporation (VNS), is located in Phu My I industrial zone, Ba Ria-Vung Tau province with 644 employees. Southern steel company previously known as Phu My factory, has undergone new capacity investments by VNS. This includes: new melt shop capacity of 500,000 tons billet per year; rolling mill capacity of 400,000 tons per year of rebar, channels and wire rod, and increased port capacity to one millions tons per year. Phu My Steel Company (PFS) a subsidiary of Vietnam Steel Corporation (VNS), is located in Phu My I industrial Zone, Ba Ria-Vung Tau Province in a 15 hectare area. Phu My Steel company received a total investment of USD129 million by VNS. PFS now operates an advanced 4-high cold rolling production line of Italian, America, and Austrian technology. There are 5 production processes: push-pull picking line, 4- high cold reversing, batch annealing plant, 4-high temper mill, recoiling line, with an annual capacity of 405,000 tons. PFS specializes in annealed cold rolled coil, full hard cold rolled coil (Full Hard, CQ, High Class Use, Conventional Use) and pickled and oiled coil (P.O) accordance with JIS standard of Japan, DIN standard of Europe, and ASTM standard of America. We are pleased to partner with the following organisations for Kallanish Asia Steel Markets 2018. Shanghai Metals Market (SMM) is China's leading provider of metals intelligence, industry events, consulting and e-commerce services. 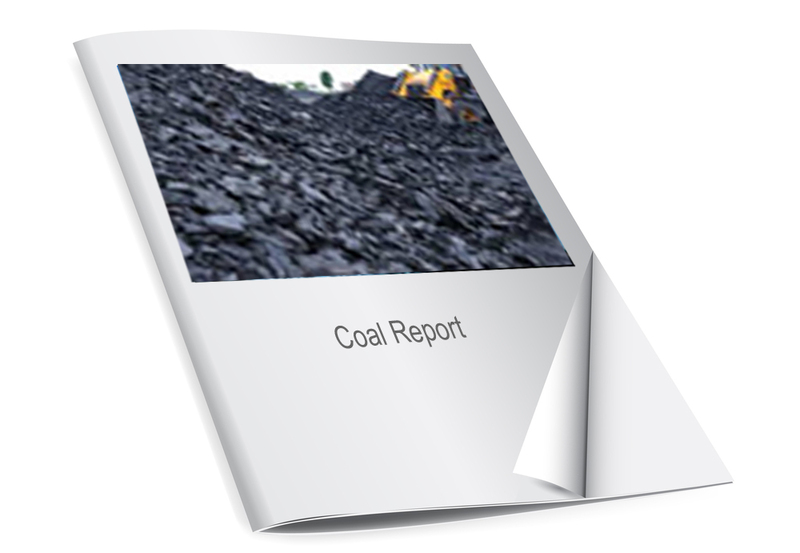 We have more than 100 professional analysts who deliver customised reports and services for the industry chain, such as miners, smelters, processors and traders. SMM’s extensive and in-depth data on the Chinese metals market has made the flagship portal – www.metal.com – the most subscribed service in the industry with the highest number of unique daily visitors. Vietnamese and international steel experts will provide an overview of key trends and developments in Asian steel markets. Vietnam’s growth as a steel market in recent years has been dramatic. Can it be sustained? And what does that mean for local investment and trade? As Asia continues to lead changes in the global steel sector, this is having a growing impact on trade, breaking down traditional relationships and building up new ones. As trade becomes ever more important in the region, many countries are turning to protectionism, led by the recent example of the USA. How have flows changed, and how will they change in the future? As China slows the focus is increasingly on Southeast Asia to support steel demand growth. Increasing funding for infrastructure projects and rapidly expanding manufacturing and consumer demand, coupled with a low base steel consumption, mean the region is likely to drive growth in steel demand in the coming years. At the same time however, the region is highly fragmented. Despite the Association of South East Asian Nations, trade barriers have been proliferating between Asean members, especially in the steel industry. Will this help or hinder cross boarder investment in the industry? Does it leave the major regional players, China, Japan and Korea to sweep up investment opportunities at the expense of local players? Will national steel industries in the region gain more from competing against each other locally or from presenting a united front to the rest of the world? In this session, steelmakers and associations from the region give their views on how the sector will develop. Southeast Asia’s growing demand and structural under-capacity made it a key taker of Chinese steel for many years. These demand side factors are still driving the development of the industry and regional trade flows. Now changes in China’s home market are changing export flows. Will this continue? Or will the recent weakness seen in the Chinese market boost exports again? Southeast Asia meanwhile is being more aggressively targeted by a wide range of new suppliers. Whether it is Far East Russian billet into the Philippines, Middle Eastern longs into Singapore or Indian HRC into Vietnam, it seems there are always new markets to source from. Will local firms secure the financing to develop their own capacity? Or will outside companies supplying the region be the big winners of local demand growth? Nguyen Ha Trinh, Steel Analyst, Viet Dragon Securities Corp.
Eighteen months ago raw materials seemed like the simplest part of the steel equation. Like other parts of the industry however, raw material trade flows have been shaken up. China’s induction furnace closures have turned it into a net scrap exporter, while US tariffs have disrupted traditional suppliers. Iron ore meanwhile is finally retreating to levels which might limit supply, supporting the competitiveness of blast furnace steelmakers. Increasing freight rates are also an increasingly important fact of life for steelmakers, especially as trade in raw materials concentrates at high-quality suppliers. With such a broad range of issues impacting the steel sector this year, a discussion by some of the best informed and influential people will help focus on which trends will be the most important. The panel session will be a rare opportunity to see various views argued face-to-face, and a great opportunity to put your own questions to senior figures in the sector. Dr Sua holds an undergraduate degree, and postgraduate doctorate in Metallurgy from Ostrava University of Mining. Between 1987 and 1993 he was Head of Research at the Institute of Ferrous Metallurgy. A year later, he joined the Ministry of Industry as an Expert for the International Cooperation Department. From 1996 to 2008 he held the position of Director of the Institute of Ferrous Metallurgy, and more recently, between 2009 and 2013, worked as Technical Advisor on a number of projects on Cleaner Production, Green Industry Development, and Energy savings in the steel industry in Vietnam. Dr Sua is the Vice Chairman of the Vietnam Steel Association since 2014. Le began his career in Southern Steel Sheet Company (SSSC) in 1998 in the marketing team of the Material Planning & Supply department. He rose quickly through the ranks as Marketing Team leader, Sales Chief and then Deputy Manager of the Materials Planning & Supply of SSSC. Then in 2010 Le was promoted to Sale Manager of SSSC, a position he held for 6 years. Since 2016 Le holds the position of 1st Deputy General Director of SSSC. Le has an undergraduate in Economics from the Economic University of HCMC, Vietnam, and an MBA from Lincoln University, USA. Tan Ah Yong graduated with a Bachelor of Economics (Hons) degree in Business Administration in 1972. He is a member of the Malaysian Institute of Accountants. Ah Yong is the Secretary General of the South East Asia Iron and Steel Institute (SEAISI) with its office in Shah Alam, Selangor, Malaysia. He assumed the position in January 2007. Prior to this, he was the Deputy Director General of the Malaysian Industrial Development Authority (MIDA), the government’s principal agency for the promotion and coordination of industrial development in Malaysia. He has extensive knowledge on industrial promotion and development strategies and was closely involved with the promotion and development of the iron and steel industry in Malaysia. He had also served for many years in the United States promoting and facilitating US direct investment into Malaysia. Azlan graduated from Trinity University, Texas, USA with a Bachelor of Science in Business Administration and Morehead State University, Kentucky, USA with a Masters in Business Administration. Azlan began his career in Citibank N.A in the World Corporate Group, a division within the Corporate Banking Group in 1983. After 5 years, he moved on to United Asian Bank which later merged with Bank of Commerce. In 1994, he rejoined Citibank Berhad as Vice President and Head of the Public Sector, a division in the Corporate Banking Group focusing on lending to government-linked companies (GLCs). Azlan is currently the Group Managing Director/Chief Executive Officer of Melewar Industrial Group Berhad and the Chief Executive Officer of Mycron Steel Berhad. He also serves as director of Langkawi Yacht Club Berhad and in several other private limited companies. In addition, he is a council member and the Deputy President of Malaysian Iron and Steel Industry Federation and an alumni member of International Association of Traffic and Safety Sciences based in Japan. He served 9 years as an Independent Director of HSBC Amanah Bank Berhad until May this year. Soon after, he was appointed to the Board of MIDF Investment Berhad as an Independent Director. Sebastian has more than 15 years of experience in operational, strategy, finance, and legal roles. He has previously worked across four continents with a leading steel company, a top strategy consulting firm, multilateral banks, and a leading law firm. Sebastian is the founder of Meranti Steel (formerly Meranti Singapore). He has a particular passion for building & construction in emerging countries and he has strong experience in managing culturally diverse, cross-functional teams. Sebastian holds a doctor in law from Ruprecht-Karls University in Heidelberg, Germany, and an MBA from INSEAD in Singapore/France. Anubhav is a steel professional with 20 years experience in steel, with a Masters Degree in International Business. Abnubhav currently holds the position of General Manager - International Marketing, Global Product Head for Slabs, Hot Rolled Products & Cold Rolled Products at JSW Steel. Suzan is a Market Research Analyst at Turkish Steel Exporters’ Association, a non-profit organization aiming to increase the export potential of the Turkish Steel Industry and to achieve a sustainable competitive strength in a global manner. She received her Bachelor’s degree in International Finance from Istanbul Bilgi University, Turkey in 2008 and her Master’s degree in International Business Administration with specialty in Marketing and Finance from University of Hamburg, Germany in 2011. She previously worked in Market Intelligence field in a leading global solar PV downstream company headquartered in Hamburg, Germany. She speaks fluent English and German. Graeme is Senior Economist for Trafigura, a market leader in the global commodities industry. As head of base and bulk commodity research, he is responsible for helping to shape the company’s views on metal markets and the economic outlook, with a particular focus on China. Prior to joining Trafigura, Graeme led the China side of Macquarie’s highly regarded commodity research team for five years, publishing research on bulk commodities and metals for institutional investors, corporate clients and bank’s internal investment and trading teams. Graeme started his career at Steel Business Briefing, first as a China Analyst and later as Head of Asia Research. Who is coming to Kallanish Asia Steel Markets 2018 conference? Tanshan YaoXin Iron and Steel Group Co.,Ltd. This list was last updated on the 9th April 2018. Do you see an error in the list - please get in touch at info@kallanish.com to let us know. This is the Kallanish Asia Steel Markets 2017 attendee list below. This list was last updated on the 14th March 2017. Do you see an error in the list - please get in touch at info@kallanish.com to let us know.